Prepare for a new battle state in Super Smash Bros for Wii U and Nintendo 3DS! Starting September 30th you’ll be able to battle on a special extra stage inspired by Super Mario Maker. The stage will be available for both the Wii U and 3DS versions of the game and will feature random levels. Each time you play the stage you’ll be greeted with a random level, spread across the four different styles. 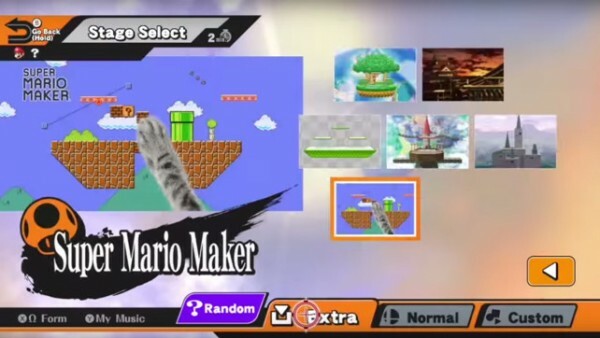 Best of all the level blocks are destructible and blocks will be redrawn by the hand overlay from Super Mario Maker. No word on price at this point but expect that it will be a free download to help promote the release of Super Mario Maker for the Wii U.